Repetition isn't necessarily a good thing when it comes to our daily work, but it can be a terrific photo subject. 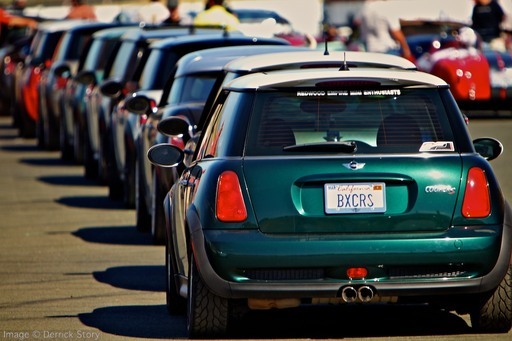 A line of Mini Coopers. Photo by Derrick Story. The trick is to find an exception to the pattern, or a way to isolate one of the items so the viewer's eye has a place to rest. Once the viewer absorbs the "resting spot" you've created, they can go on to enjoy the pattern that fills out the rest of the composition.